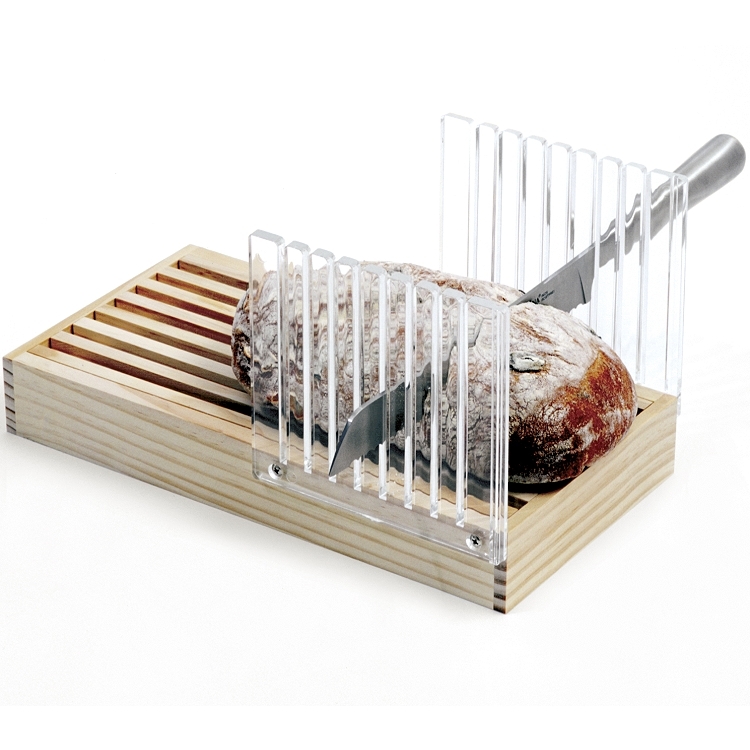 Bread Slicer with wood crumb catcher, allows you to slice bread loaves into uniform portion slices. 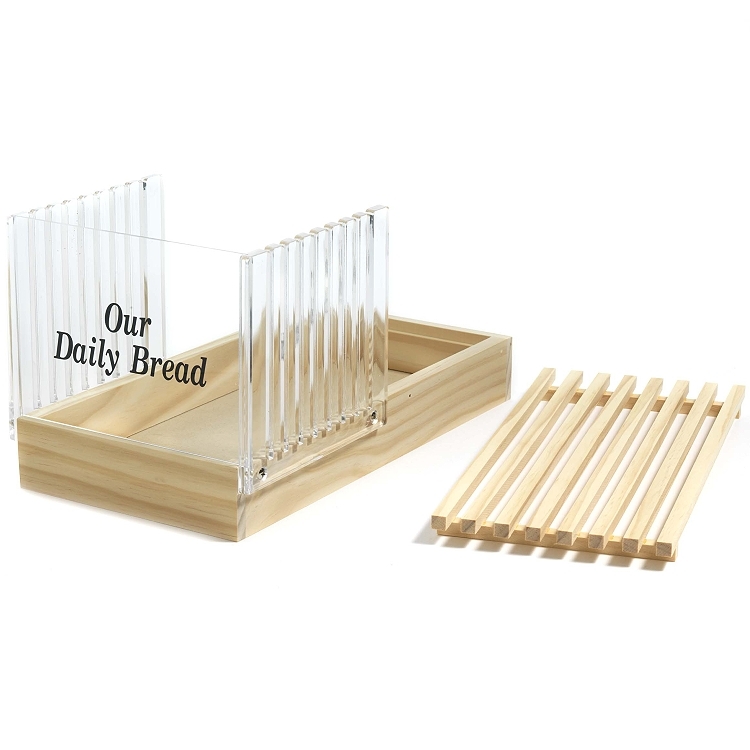 Acrylic slicing guides insure uniform slices. 8 slices guides, each with 3/4" wide increments. 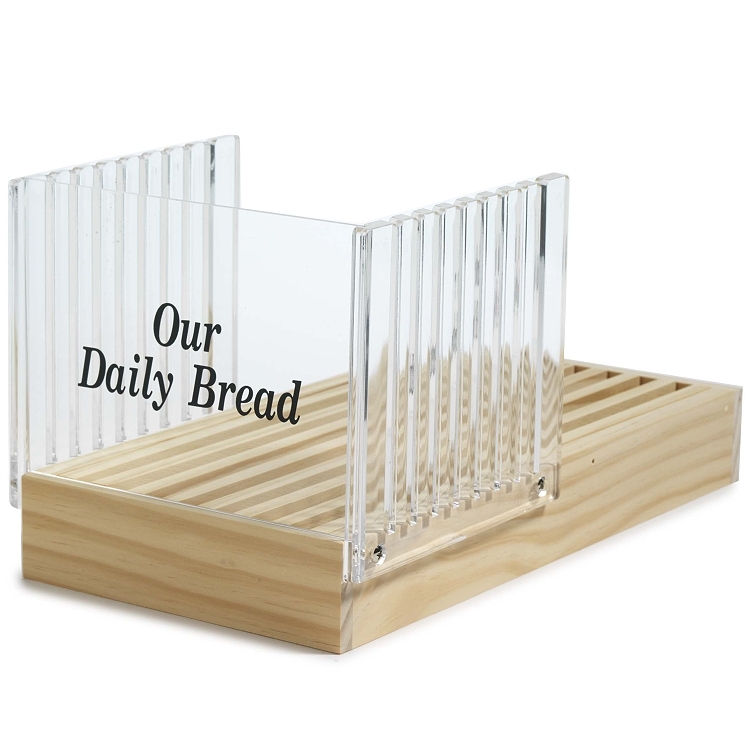 Removable crumb catcher eliminates the mess and makes clean up easy. 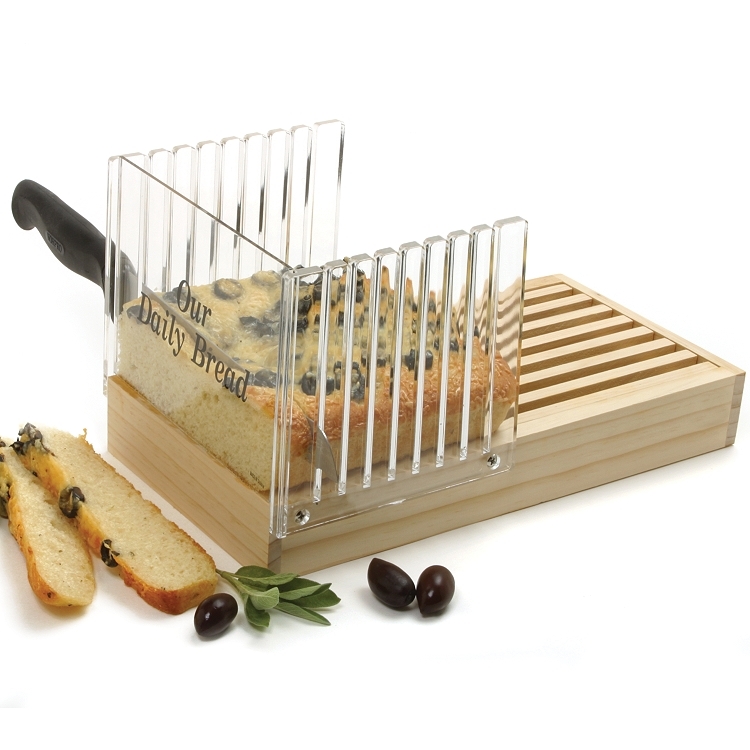 The bread slicer is easy to assemble, clean and maintain. To clean, dump crumb catcher and wipe everything with a damp cloth.